Many regional conservation survey efforts focus on a few high-profile, charismatic priority species. This means that ecological information important to the conservation of a great number of species is often ignored. Among these species are numerous cats and other carnivores, many of which may be more threatened or endangered than larger, flagship species. 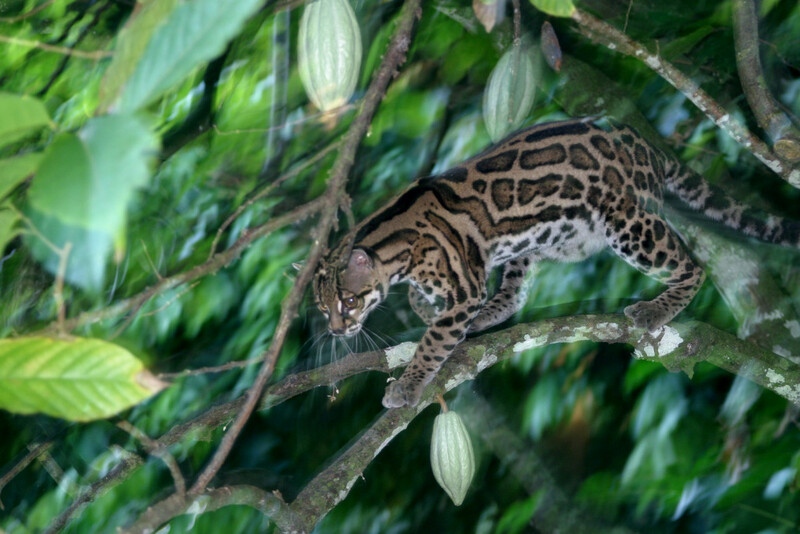 Resources to conduct sound regional status assessments of these lesser known species, including the clouded leopard – our own logo, are at best very limited, but all too often completely lacking. No geographical regions best exemplify where these conservation concerns are most pressing than south and southeast Asia, where potentially the greatest number of these species occur. 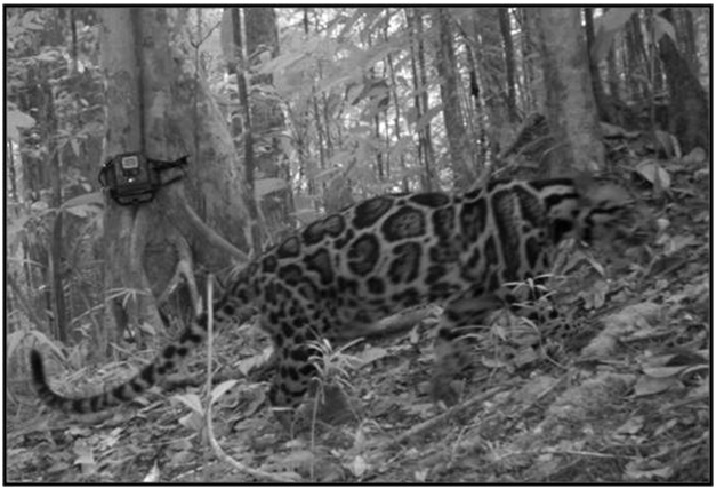 Camera-trap photo of a Sunda clouded leopard on the island of Borneo. S.P.E.C.I.E.S. and our partners are pioneers in research on clouded leopards, and are taking the lead in planning efforts that will lead to the conservation of more clouded leopard habitat. 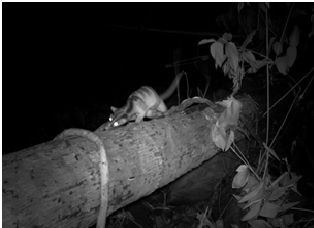 This banded civet was photographed scent-rubbing on a downed log in Gunung Mulu National Park. Behavior like this is very rarely documented for most small tropical carnivores, which are rarely the principal subject of field surveys. 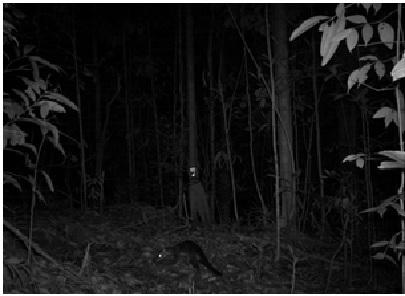 Hose’s civet, a little-known and rarely-recorded viverrid endemic to the island of Borneo. This one was recorded in the Maliau Basin of the Malaysian state of Sabah. To address the needs of these carnivores, S.P.E.C.I.E.S. 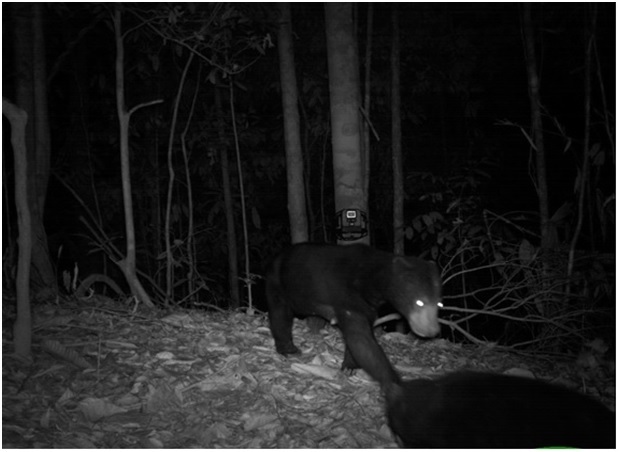 has launched Cameras4Conservation with partner Emerging Wildlife Conservation Leaders (EWCL), a collaborative effort that capitalizes on the abundance of functional camera-traps available from previous users and studies. In focusing on bringing information on these species to light to better protect them and their tropical forest habitats, Cameras4Conservation aims to integrate our “4” synergistic goals: research, education, public outreach, and community participation. When combined, these goals are among the most powerful tools for achieving conservation. By making camera-traps available to teams of emerging conservation professionals from this region looking to further the conservation of rare species like bay cats, sun bears, Hose’s civets, flat-headed cats, and ferret badgers, to name just a few, we hope to support their education and enhance local individual capacity, while promoting much needed public outreach and awareness skills, and developing stronger relationships with local human communities. We are also working with other institutions across these regions in order maximize the use of information regarding these species collected during surveys of tigers, rhinos, tapirs, and other larger, charismatic mammal species. In building on our successes, we expect to broaden the scope of cameras4conservation to include other high priority tropical regions where too little is known about tropical forest carnivore species and other cryptic mammals, including west and central Africa, Madagascar, Mesoamerica, tropical China, the Philippines, and the Amazon Basin. Make a donation to S.P.E.C.I.E.S. to help support the Cameras4Conservation Project. Your donation will go a long way to ensure that our projects reach their full potential.